Children gain information from the world around them from the moment they are born. They use innate reflexes to respond to external stimuli such as the sucking reflex to feed. As they grow and develop, babies and children continue to process and respond to their environment using their senses. Often we see very young babies using their hands and mouths to explore the texture of objects that they come into contact with. It is often underestimated how valuable these early interactions can be for children. 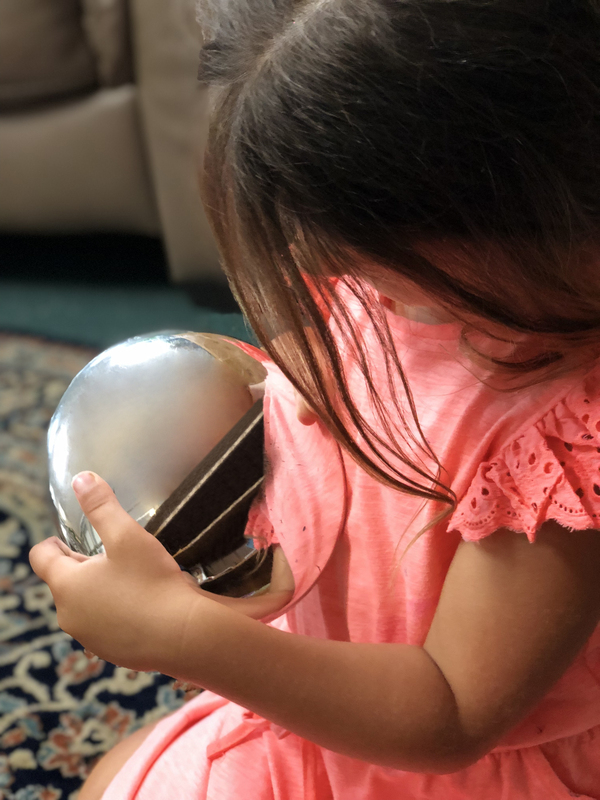 As they touch and explore sensory objects, these young children are learning about texture, shape and the physical properties of these objects. They begin to distinguish one object from another as they develop their earliest skills in classification and differentiation. This begins to make us realise that children’s earliest interactions with the resources we offer are creating the foundations for future learning. What is happening for a baby is much more complex than what we perceive. When a toy is held in front of a baby they are using their senses to try and determine not only where that item is in space, but also where it is in relation to their body. They develop the understanding that they have arms and legs to reach for and grab items that can then be placed in their mouths to determine if they are hard, soft, smooth or rough. They use repeated cause and effect as they practise and develop the ability to see, interpret information and then respond appropriately. As they practise these skills, their attempts at grabbing and holding objects become increasingly successful. As children grow, these interactions begin to become more complex. The addition of language enables children to expand their vocabulary and develop the ability to describe what they see, feel, touch, hear and taste. Words such as cold, fluffy, smooth, soft, rough and hard all enable children to further differentiate between objects and materials. They begin to develop greater sensory integration, meaning they are able to understand and respond appropriately to sensory input. This is a tricky skill that becomes increasingly developed as children grow. The more exposure children have to sensory experiences early on, the more developed their sensory integration will be. Did you know that sensory experiences are calming for children? If you speak to psychologists, occupational therapists, play therapists and the like, you will discover the amazing impact that sensory experiences can have for children with additional needs. 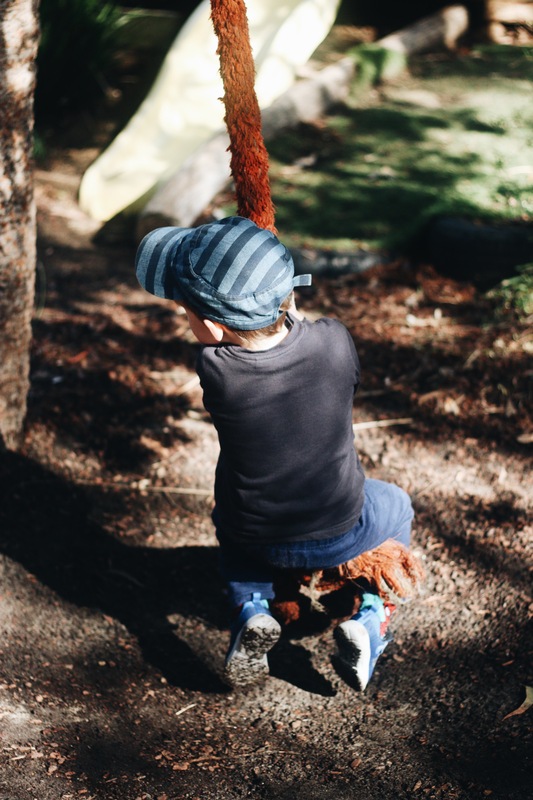 However, in saying that, all children benefit from the same experiences and this can play a large impact on the development of self- regulation, an increasingly common challenge in early childhood today. Through engaging in sensory experiences, children are gaining an adequate amount of sensory input in order to obtain an optimum sensory, or regulated state. This state means that we do not become either over or under-stimulated by sensory input, feeling calm and ready to respond effectively to the world around us. In order to understand this further, let’s have a look at what exactly are the sensory systems. Did you know that there are actually seven sensory systems? We all know the usual five senses of hearing, sight, smell, taste and touch, however there are an additional two senses that can affect the way in which we respond to our environment, the vestibular and proprioceptive senses. The below table gives us a brief description of these seven senses. VISUAL Our visual system helps us to see what we need to see and filter out what we don’t need to focus on. This system is often used for tasks such as finding items in a busy room, attending to school or work tasks, reading books and matching or sorting items in our daily lives. TACTILE These sensory receptors are located in our skin and mouth and tell us when we’ve touched something and what it is that we’ve touched as we discriminate between its size, texture, shape and temperature. This sense also helps us to respond to light touch (which can often be alerting, or alarming for some, such as a spider crawling on our arm) and deep touch (which can often be calming such as deep pressure or massage). AUDITORY This is not only being able to hear, but to hear accurately as we determine which sounds are important and those that should be tuned out. The auditory system is a survival system, and when auditory processing is disordered, it can make people feel disorientated, disorganised and overwhelmed. GUSTATORY This sense provides information about the different tastes of foods and sends these messages to the brain. For example, biting into a peach which we did not predict to be sour can be recognised by the brain and signal to us that it is not ready to eat. OLFACTORY This is our sense of smell and this also influences taste. This sense is affiliated with the part of the brain responsible for emotional memories. VESTIBULAR This is our sense of balance and motion and is located in the inner ear. This sense is activated through the movement of our head, and is also being increasingly activated by the downward force of gravity to give us a sense of where we are in space. It provides information about speed and direction of movement. Vestibular input can produce a variety of responses such as calming, organising, alerting or disorganising depending on the type of movement and sensitivity of the individual. PROPRIOCEPTIVE This is our sense of body awareness. It lets us know where a certain body part is and how it is moving. This system helps us understand how much force we are using and whether we need to use less or more force in order to successfully complete a task. It is activated any time we push or pull on objects as well as any time the joints are compressed together or stretched apart (such as jumping up and down or hanging on the monkey bars). Proprioceptive input tends to have a calming and organising effect on the body, particularly when feeling overstimulated or overwhelmed. Children learn about themselves and their world by engaging closely with materials. The more interaction a resource can offer, the more possibilities for learning. 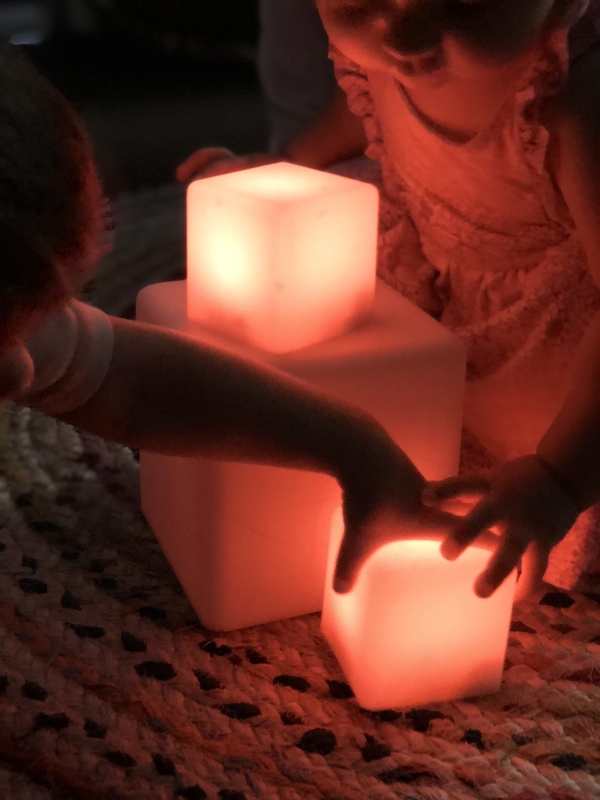 While many children have different learning styles and respond differently to a range of learning environments, we know that most children not only gravitate towards, but also highly benefit from, sensory experiences. Hands-on learning is becoming increasingly spoken about not just in early childhood, but also throughout children’s schooling years. This is due to the fact that children can become better able to retain and understand concepts when they can use hands-on learning and investigation. They can use their own cognitive processes to experiment with and make sense of the information they are receiving. We know that the more senses a child can use, the greater chance they have of being able to interpret, make sense of and retain information. Not only can children see what is happening but they can physically feel and touch the process as it occurs. They begin to realise that what they do and how they manipulate objects can have an impact on their world. Below are some wonderful examples of sensory experiences that provide learning opportunities for children. These mirrored discs for example, can offer a child the ability to explore shape, identify cool and smooth textures, use trial and error to experiment with the movement and stacking of the shapes, and also observe their own reflection as part of their journey into self identity. The wonderful shape and properties of these discs mean that children can explore light and reflection as they angle, rotate and manoeuvre them. Mud, sand and water play, aside from being amazing natural and easily resourced materials, offer countless opportunities for learning. Children can use their senses to touch, mould, manipulate and experiment with this resource. When filling and emptying containers, they build upon mathematical concepts of full and empty, while also learning about size, shape and the properties of each of these materials. This is not to mention the language and social skills that can be obtained when engaging in these experiences with their peers. 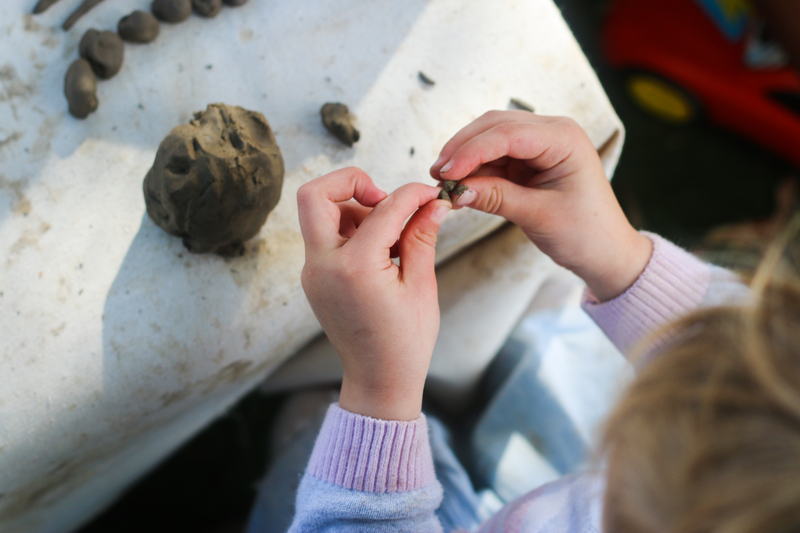 Clay, playdough and other types of dough are very popular among children and offer a medium for creative expression. Children can manipulate and explore their malleable properties as they create shapes, objects and representations. They can often be used and reused as children can use trial and error, while also developing persistence to achieve the desired outcome. Younger children enjoy the calming sensation, while also building upon and developing their fine motor skills. Older children apply cognitive thinking as they create a shape and consider transferring thoughts and ideas into three-dimensional creations. They contemplate how long, how many sides, whether rounded or straight and then further consider characteristics and attributes when creating real-life objects such as animals or people. Natural elements are one of the greatest opportunities for children to develop their sensory dispositions. Not only are these resources sustainable, they also offer such a wonderful range of possibilities. 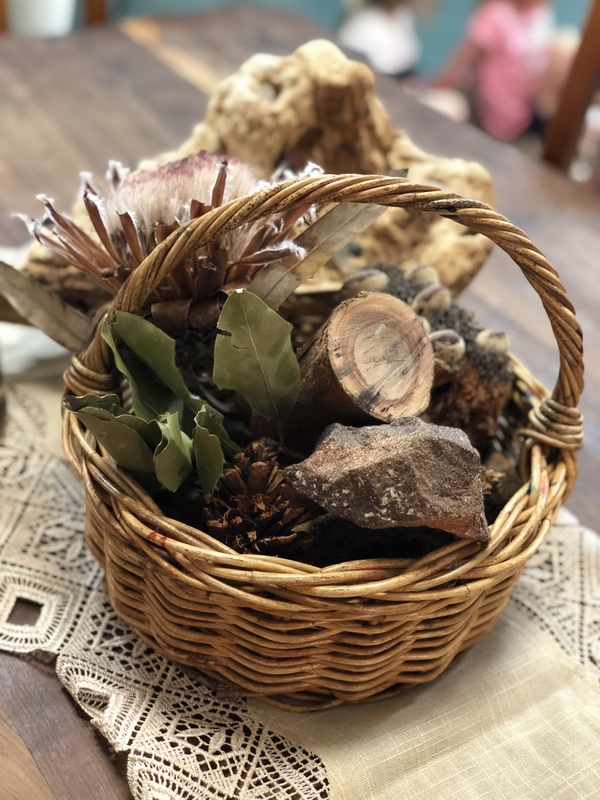 Creating natural sensory trays for children of all ages invites them to build connections to nature and allows us to bring the outdoors inside. Children can notice and become familiar with the differences between a dry and fresh leaf and what this indicates in the natural world. They can explore the supple properties of a flower, from the petals to the stem and see for themselves the characteristics which may have been explored in books or through discussions. There are many other resources that offer amazing sensory play for children as the list is endless. 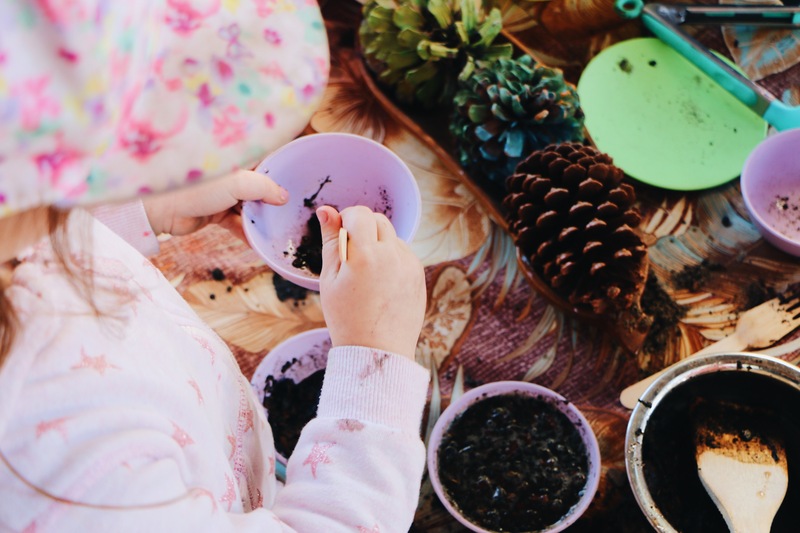 Offering children opportunities to engage with sensory materials on a regular basis allows children not only to develop self-regulation, but also develop greater sensory integration. 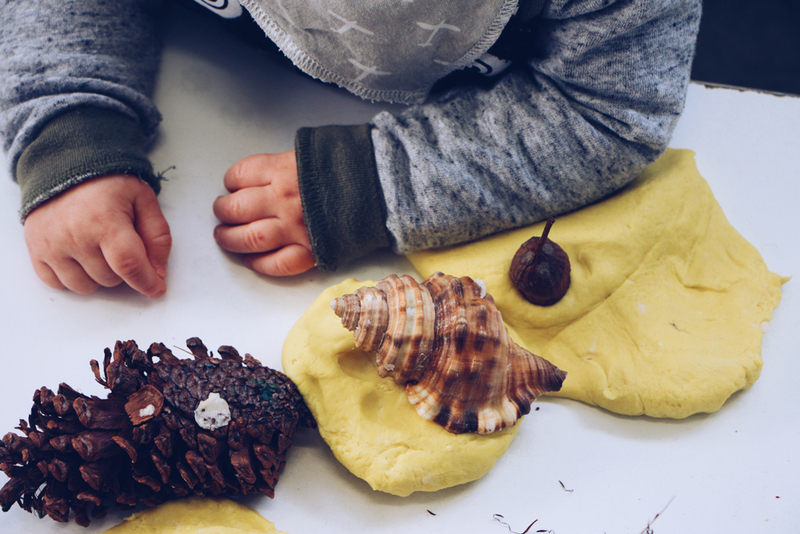 In a world where we need to recognise the role of hands-on learning as a key component in education, it is now more than ever that we need to understand why sensory play is important for children. What sensory materials do you offer your children to provoke wonder, ignite curiosity and stimulate the senses? We’d love to hear from you! Mel Ishkhanian has over 15 years experience in the early childhood industry and is currently employed at Explore & Develop Narraweena. She has a bachelor degree in Early Childhood education and engages in frequent professional development in order to keep up to date with current theory and research within the industry. As Educational Leader of the service she applies current research into practice and strives to connect the service to both the local and wider communities. With a passion for treating children as capable and confident beings, she applies theories of play, the 8 ways of Learning Pedagogy and is also influenced by the Reggio Emilia principles. Check out regular social posts by Mel @explore&developnarraweena. Next PostNext What Does STEM Mean In Early Childhood?